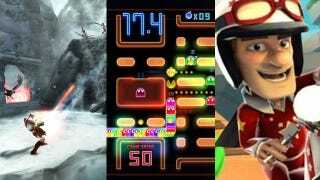 Sony is giving players the chance to honor upon their favorite downloadable titles of 2010 in the first-ever PlayStation Network Gamers' Choice Awards. Which of the 20 nominees will walk away with top honors? Since PlayStation Network users are the ones that play the downloadable games Sony makes available on the PlayStation 3 and PSP, it only makes sense that they be the ones to determine which downloadable titles shined brightest in 2010. It also makes sense that they vote by downloading. Starting February 22 and running through March 1, PSN users will be able to pick their favorite games from four different categories by downloading XrossMediaBar themes corresponding to the title they wish to vote for. The winner in each of the four categories will be featured at 30 percent off in the PlayStation Store (50% for PlayStation Plus subscribers) during the upcoming PlayStation Store Spring Fever event. Who's up for what? Check out the nominees below. Lunar Silver Star Harmony is up against God of War: Ghost of Sparta? That's a battle I'm not getting in the middle of. What will your picks be?